Attractive people enjoy many social and economic advantages. 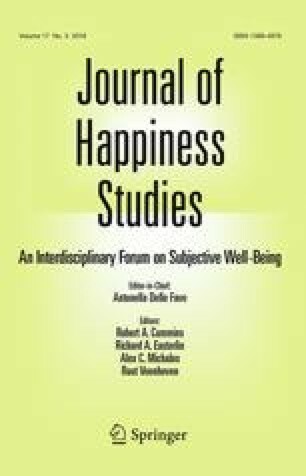 Most studies find effects of attractiveness on happiness or life satisfaction, but based on traditional cross-sectional approaches. We use a large longitudinal survey consisting of a sample of male and female high school graduates from Wisconsin followed from their late teens to their mid-1960s. The panel construction of the data and the fact that interviews of the siblings of the respondents are available allow us to analyze the effects of physical appearance on psychological well-being (human flourishing) and ill-being (distress and depression) conditioning on unobserved individual heterogeneity via random effects. We find a significant positive relationship between measures of physical attractiveness (greater facial attractiveness at high school, and lower BMI and greater height in middle age) and a measure of psychological well-being, and a significant negative relationship between measures of physical attractiveness and distress/depression. These effects are slightly smaller when we adjust for demographics and mental ability but, with the exception of height, remain significant. Our results suggest that attractiveness impacts psychological well-being and depression directly as well as through its effects on other life outcomes. All authors have contributed equally to this work. Authors are listed in alphabetical order. We use data from the WLS of the University of Wisconsin-Madison. Since 1991, the WLS has been supported by the National Institute on Aging (AG-9775 AG-21079 and AG-033285), with additional support from the Vilas Estate Trust, the National Science Foundation, the Spencer Foundation, and the Graduate School of the University of Wisconsin-Madison. A public use file of data is available from the WLS, University of Wisconsin-Madison, 1180 Observatory Drive, Madison, Wisconsin 53706 and at http://www.ssc.wisc.edu/wlsresearch/data/. We thank Danielle Barry and Lauren Haley for assistance. Wisconsin Longitudinal Study (WLS) [graduates, siblings, and spouses]: 1957–2005 Version 12.26. [machine-readable data file]/Hauser, Robert M. and Sewell, William H. [principal investigator(s)]. Madison, WI: University of Wisconsin-Madison, WLS. [distributor]; http://www.ssc.wisc.edu/wlsresearch/documentation/.